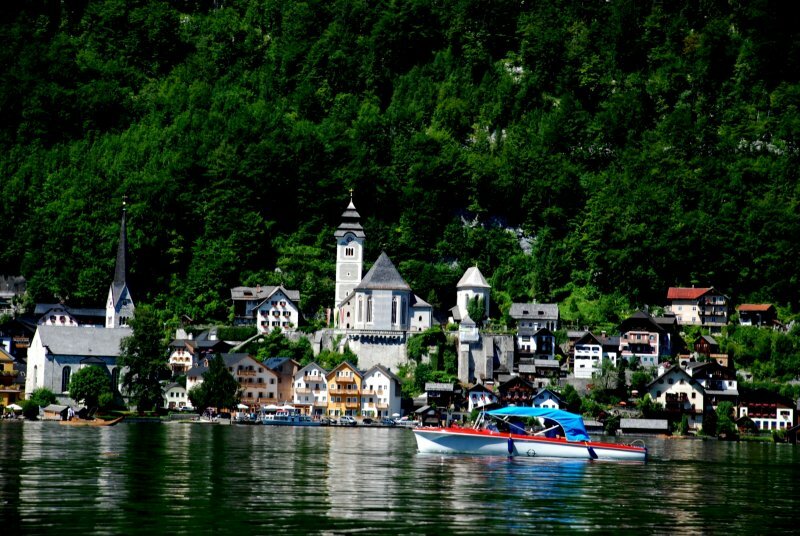 Impressions from Lake Hallstatt in the UNESCO World Heritage region of Hallstatt Dachstein Salzkammergut. 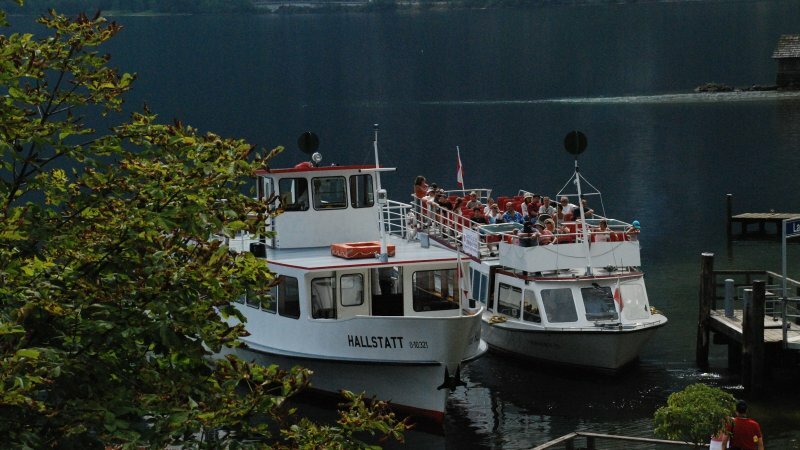 Impressions from Lake Hallstatt in the UNESCO World Heritage region of Hallstatt Dachstein Salzkammergut: En route with the tour ships of the Lake Hallstatt shipping company. 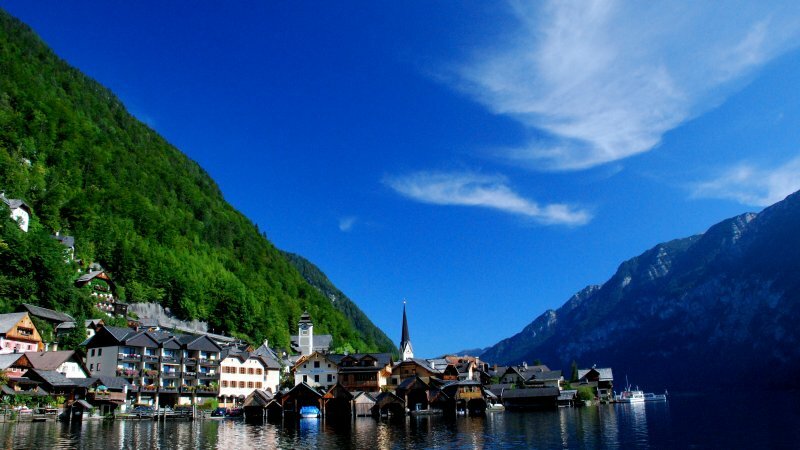 Discover Lake Hallstatt - Like a fjord flanked by mountain faces. 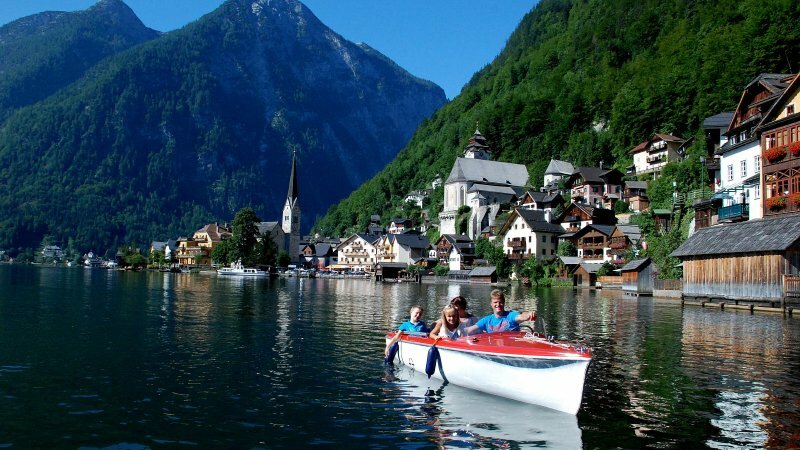 Discover Lake Hallstatt in Austria: Many are attracted to the lake to go hiking along the shady shores, to dive into the cool water on hot summer days or to go boating on the lake. 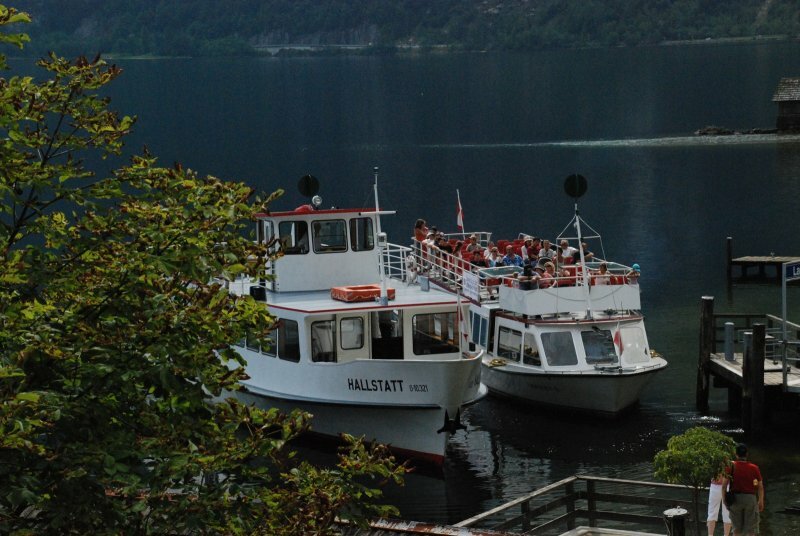 Impressions from Lake Hallstatt in the UNESCO World Heritage region of Hallstatt Dachstein Salzkammergut: En route with the tour ships of the Lake Hallstatt shipping company (Hallstätterseeschifffahrt). 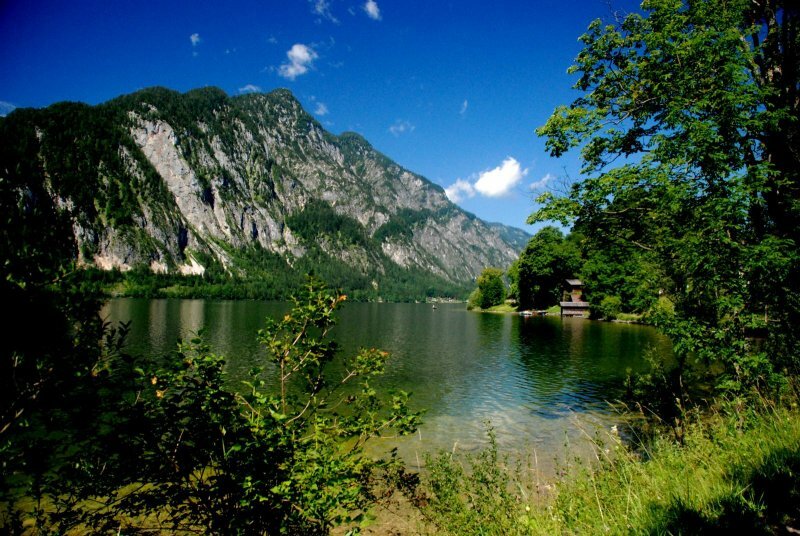 Impressions from Lake Hallstatt in the UNESCO World Heritage region of Hallstatt Dachstein Salzkammergut: Like a fjord flanked by mountain faces. 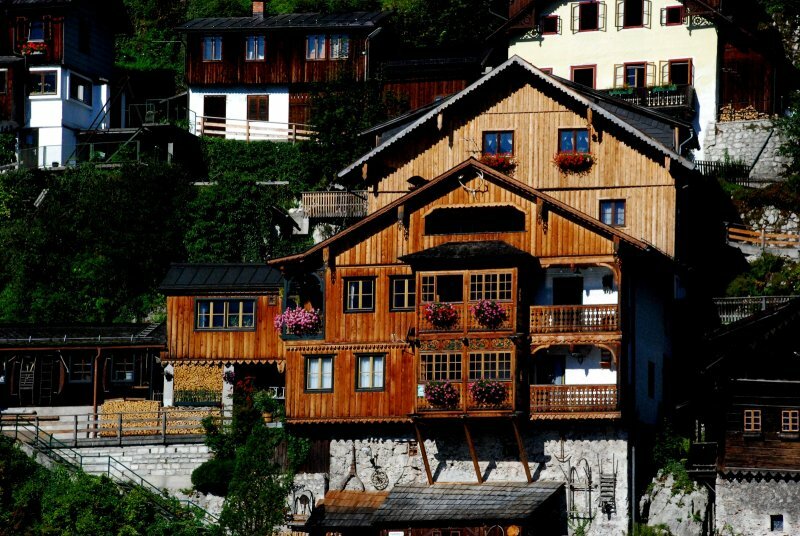 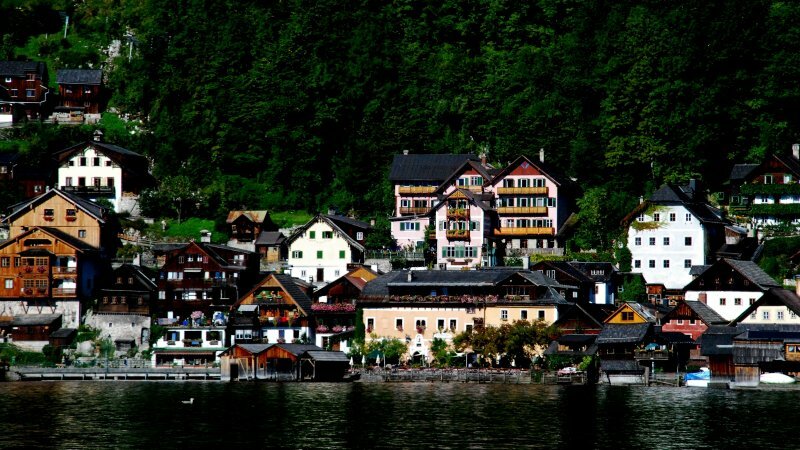 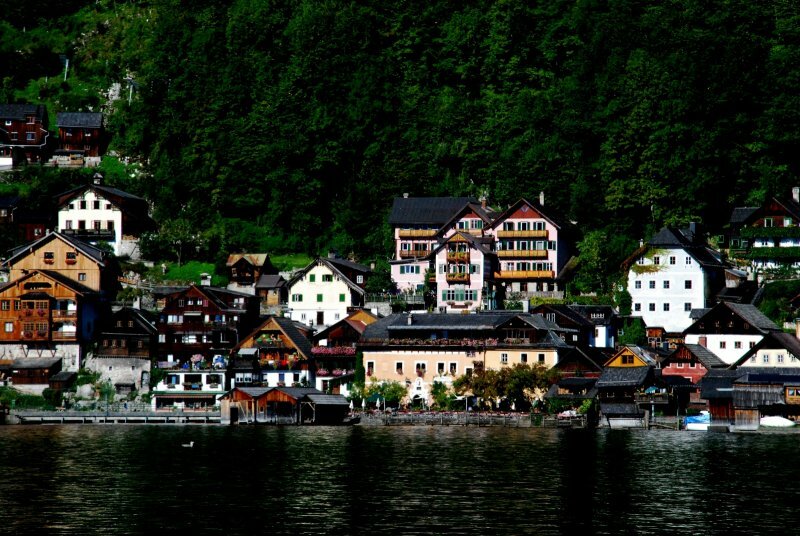 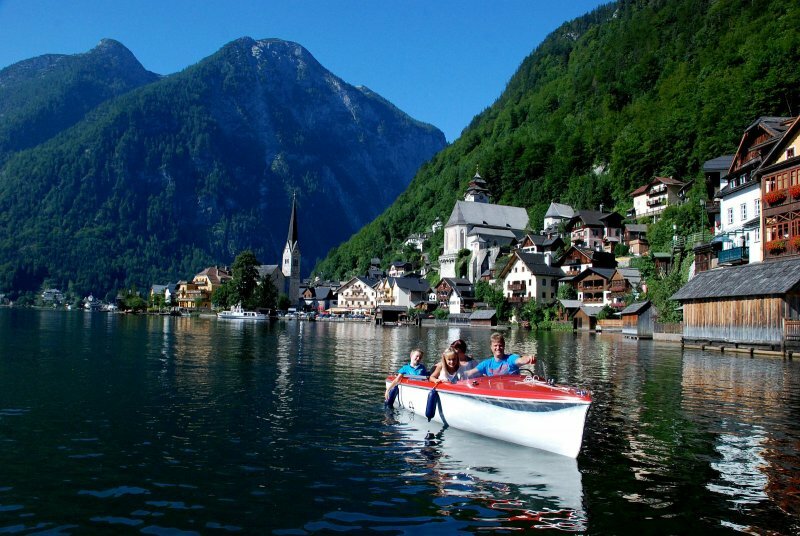 Discover Lake Hallstatt in Austria - Like a fjord flanked by mountain faces. 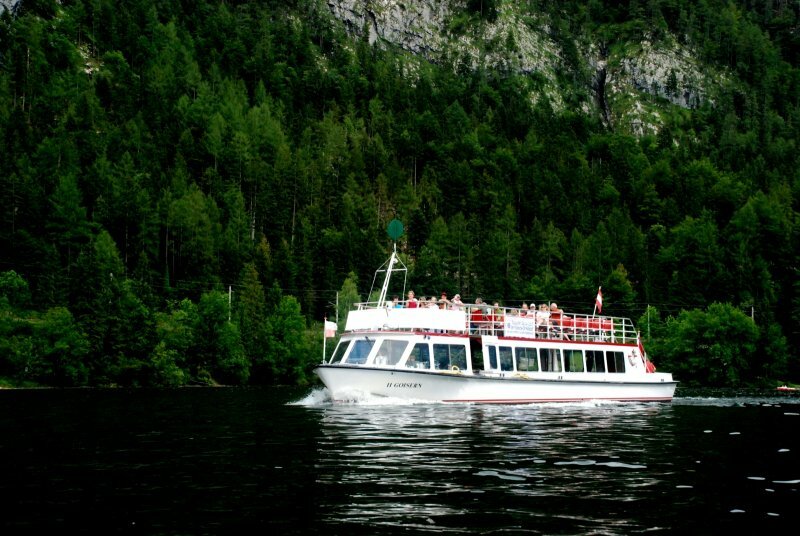 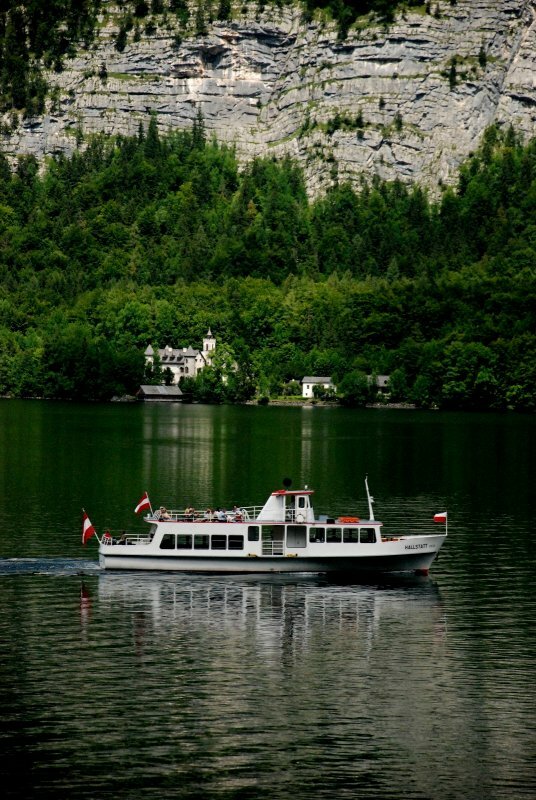 Ship tour on lake Hallstatt - © netwerkstatt. 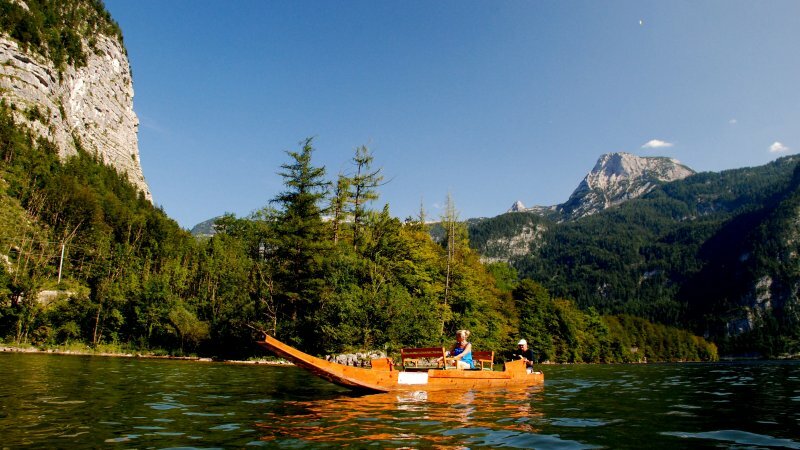 A trip on the lake is definitely one of the nicest ways to discover the beauty of Lake. 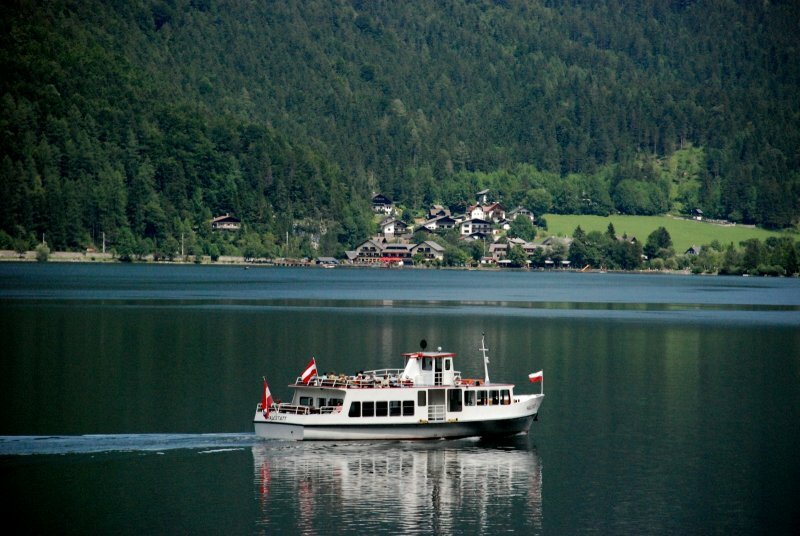 In the summer months, the shipping company Hemetsberger offers two different routes around the lake. 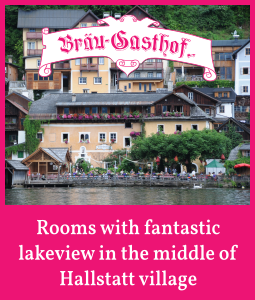 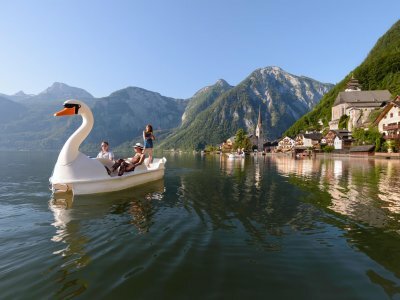 The tour with the "Hallstatt" begins in Hallstatt Lahn and continues via Obertraun - on the other side of the lake – past the romantic castle Grub and on to the centre of Hallstatt. 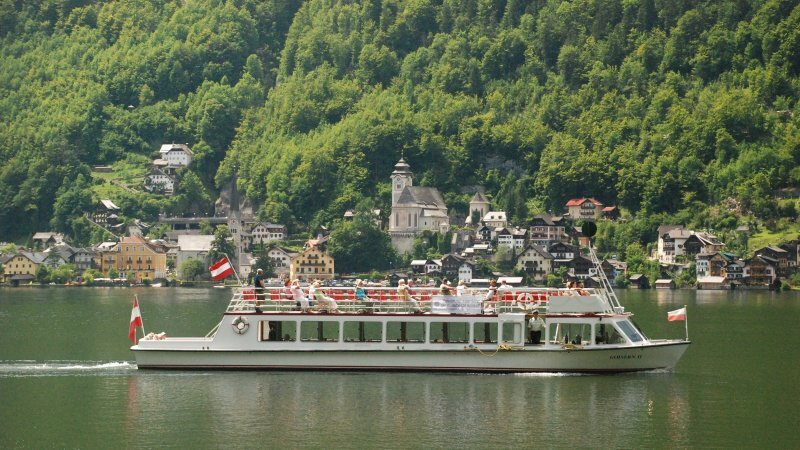 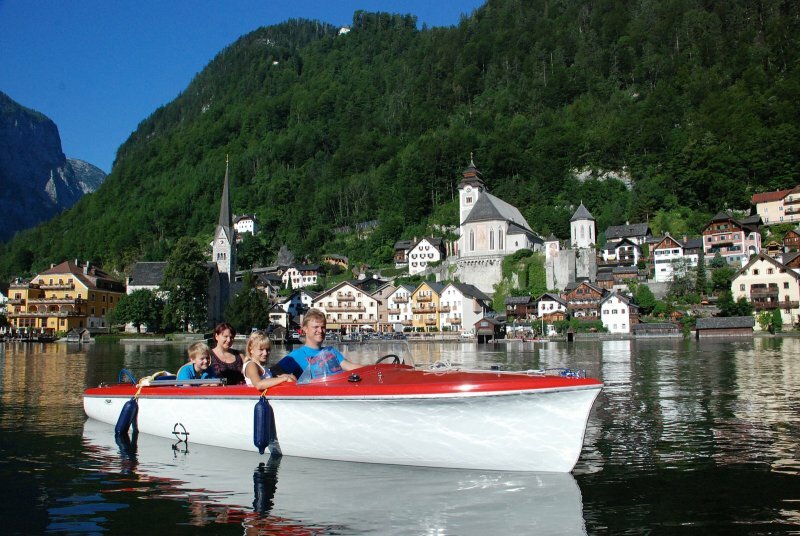 The excursion boat "Goisern" goes along the eastern shores to Untersee and Steeg (Bad Goisern) on the northern tip of Lake Hallstatt. 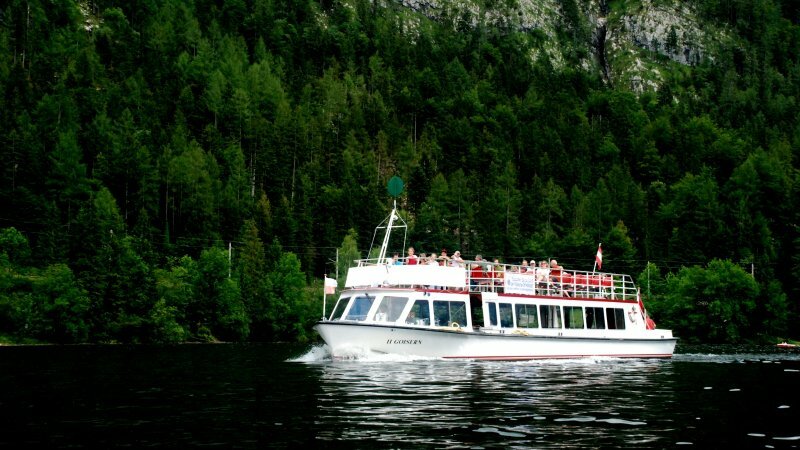 And whoever stands at the stern of one of the excursion boats and looks back at the foaming waves, can stop to think and get an idea of how man has won over the power of water. 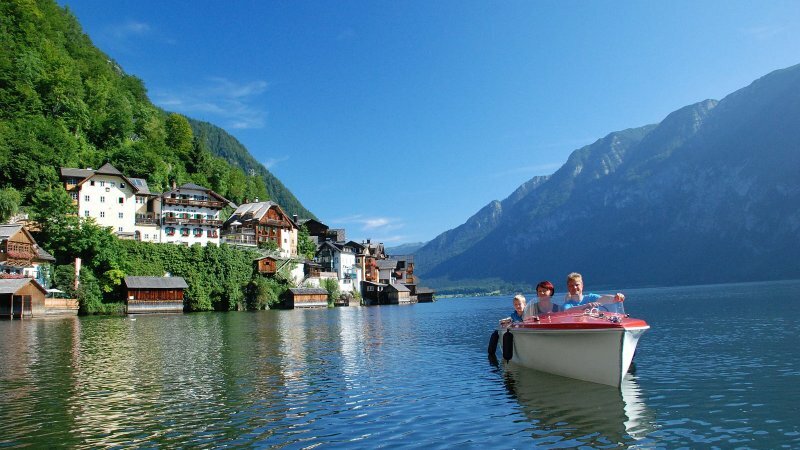 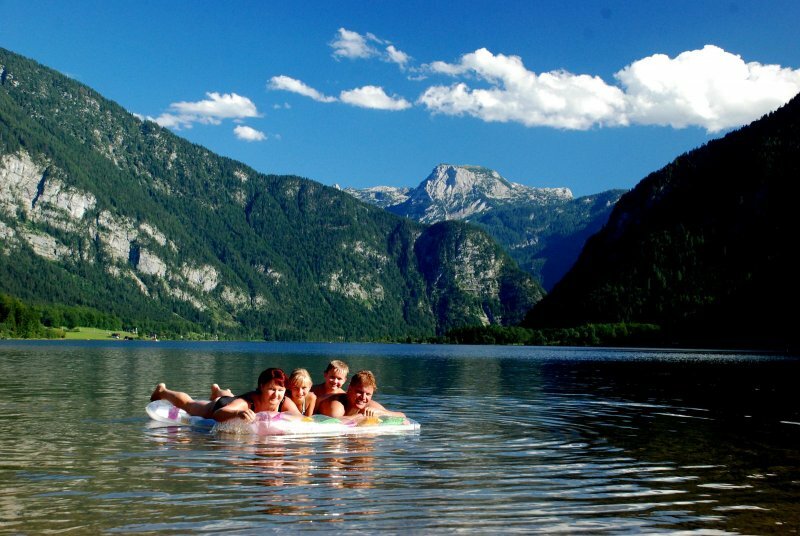 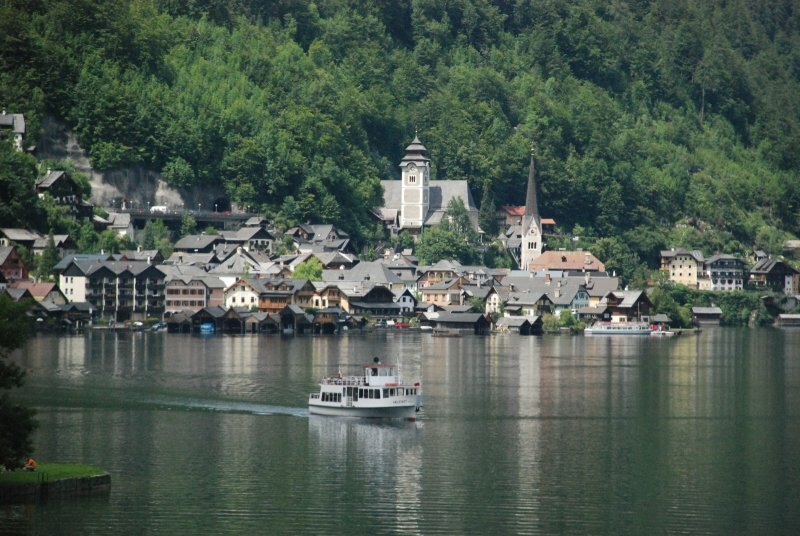 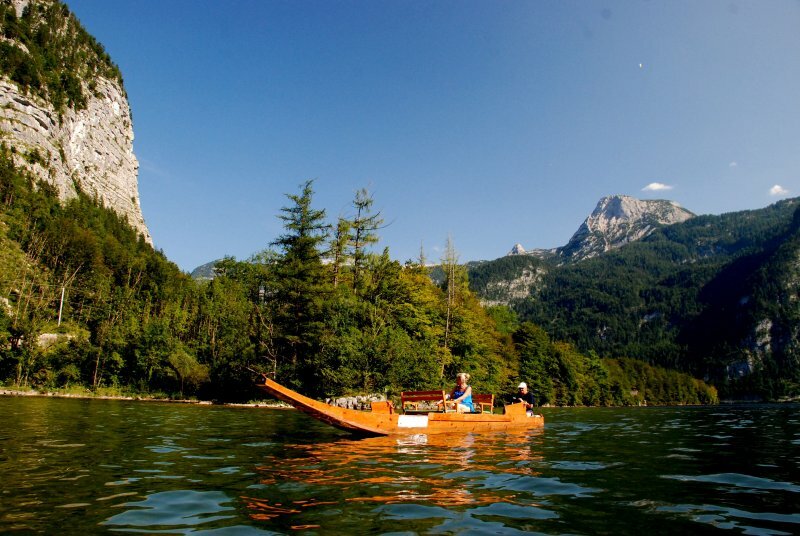 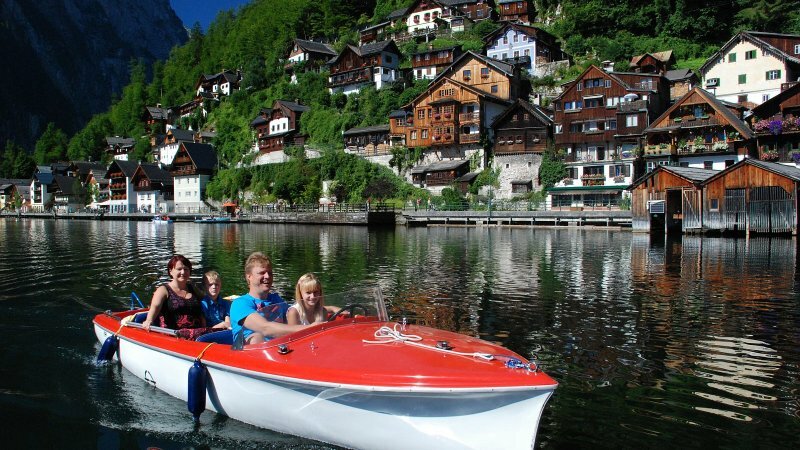 For those who would like to be active, you can rent bicycles, rowing and pedal boats on Lake Hallstatt. 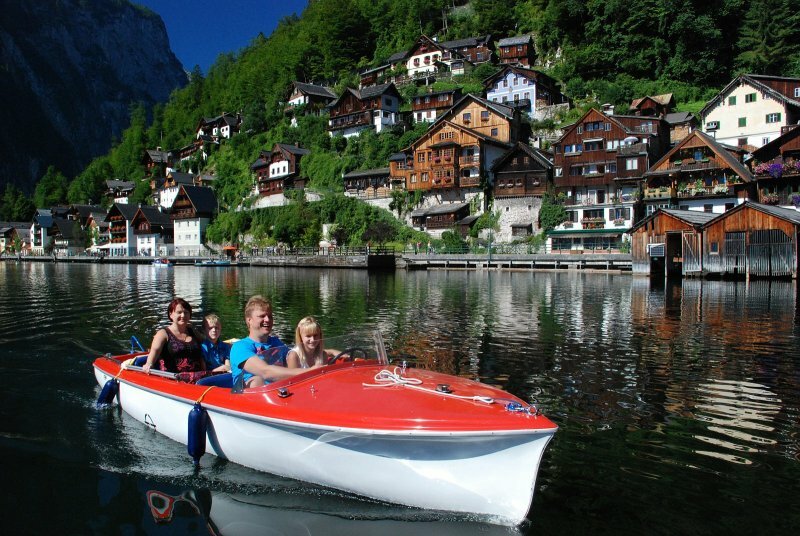 This allows you to explore the surroundings on land or water. 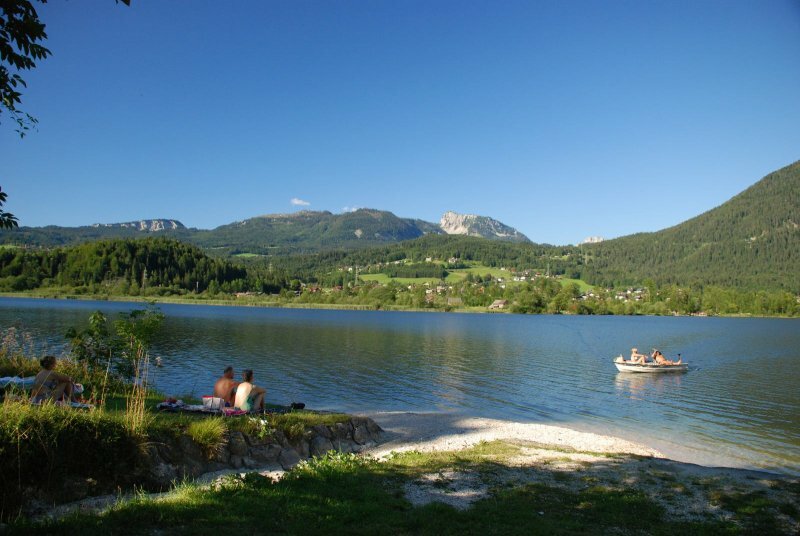 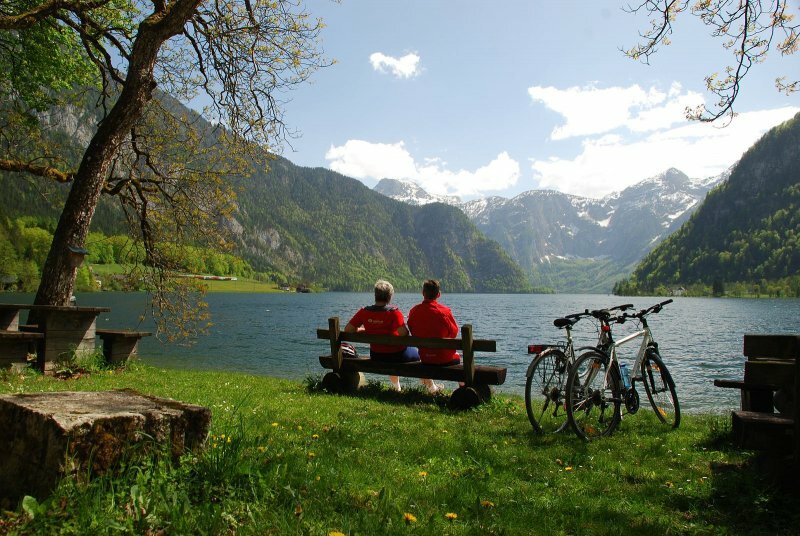 On the east shore, the dark green shimmering lake is lined by a hiking and bicycle path, wooded mountains and lush meadows. 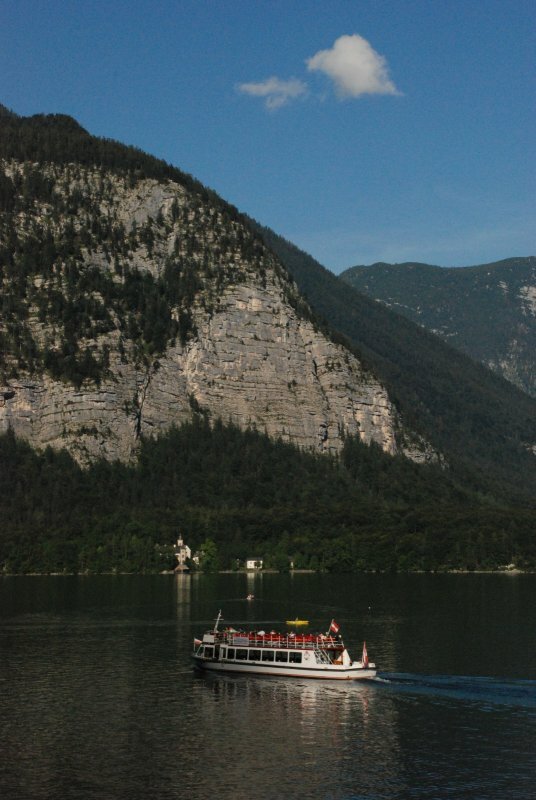 A landscape that can learnt in a particularly impressive way, during a boat trip. 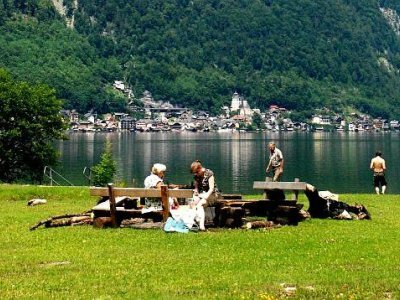 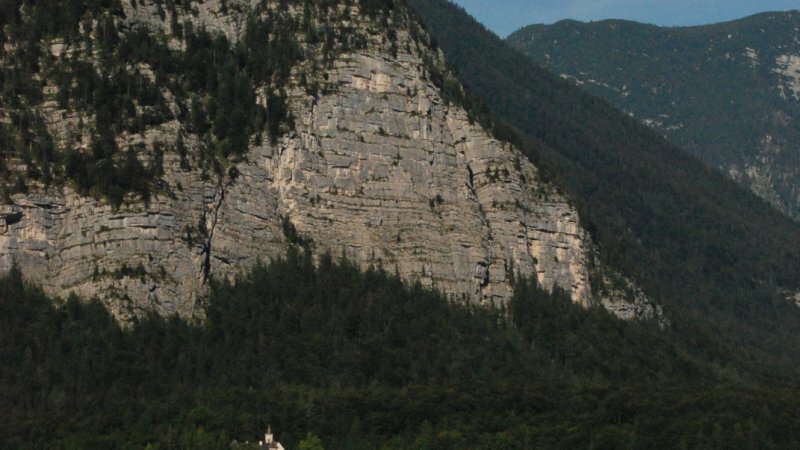 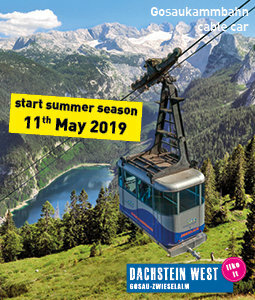 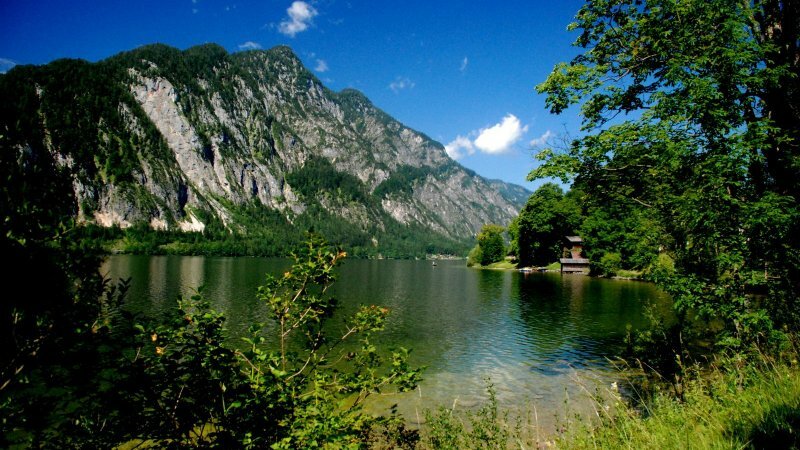 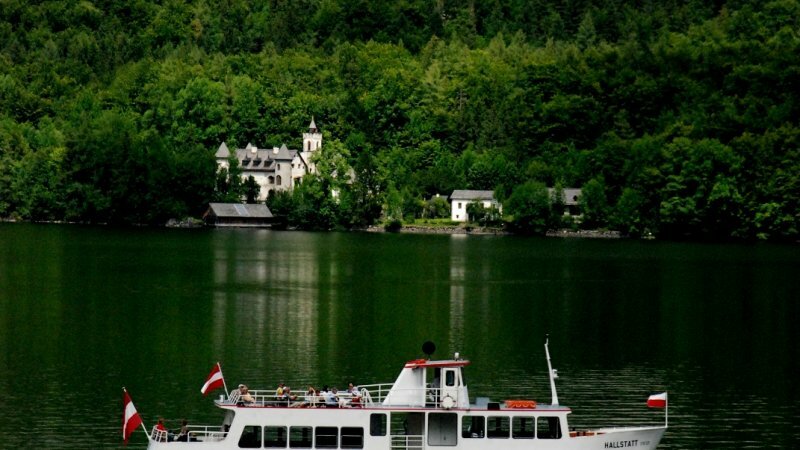 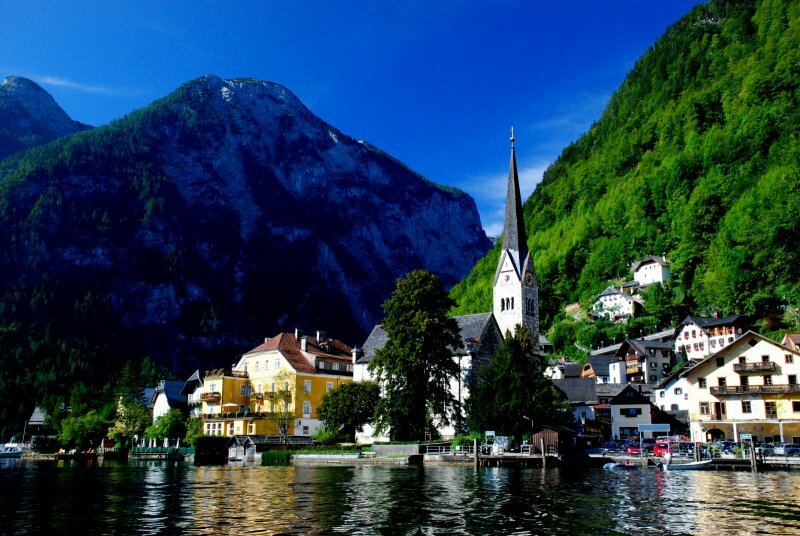 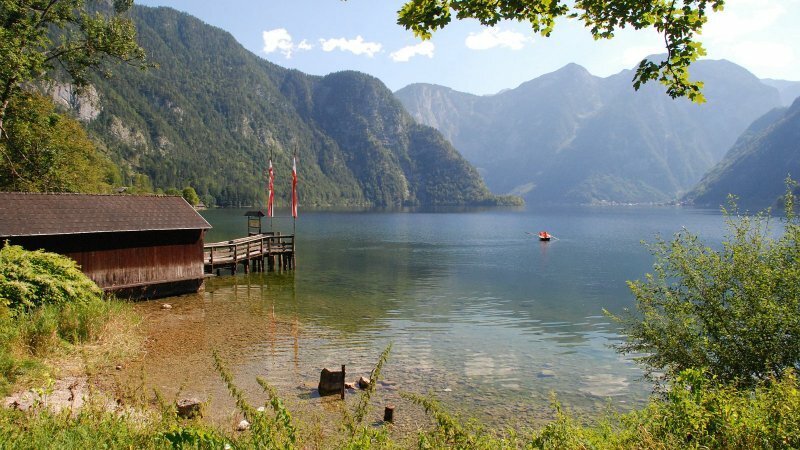 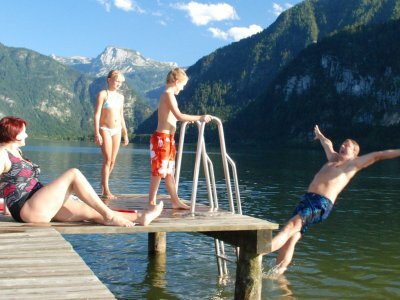 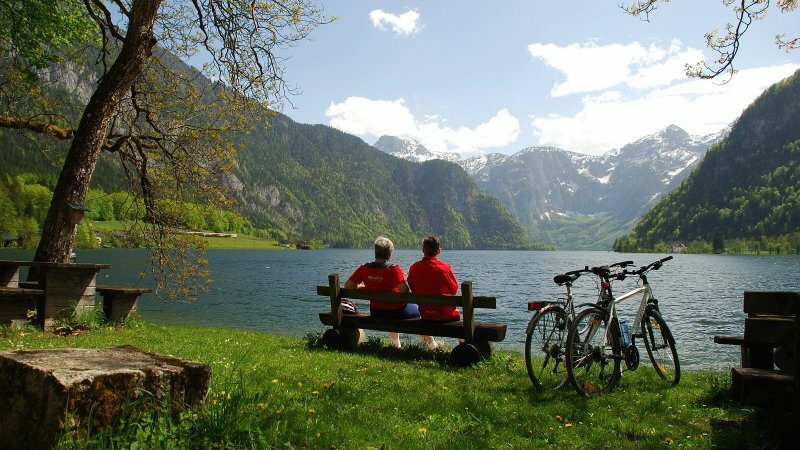 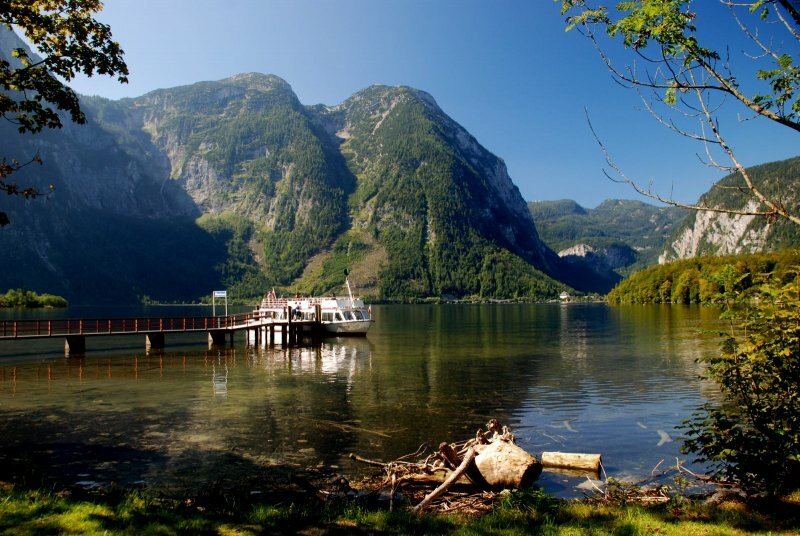 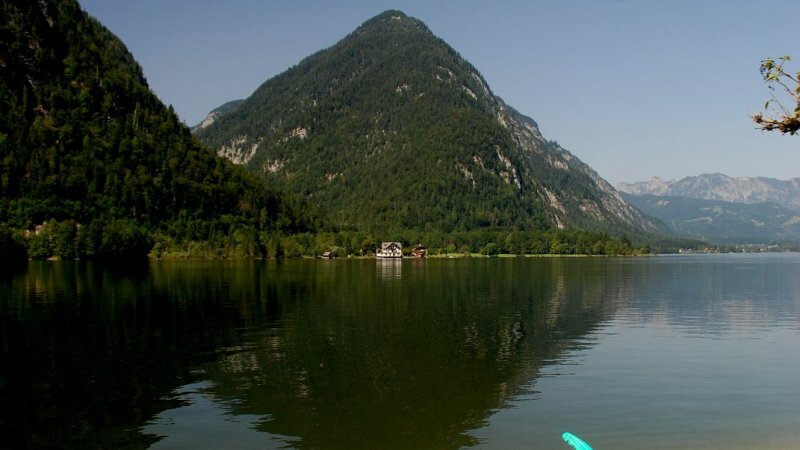 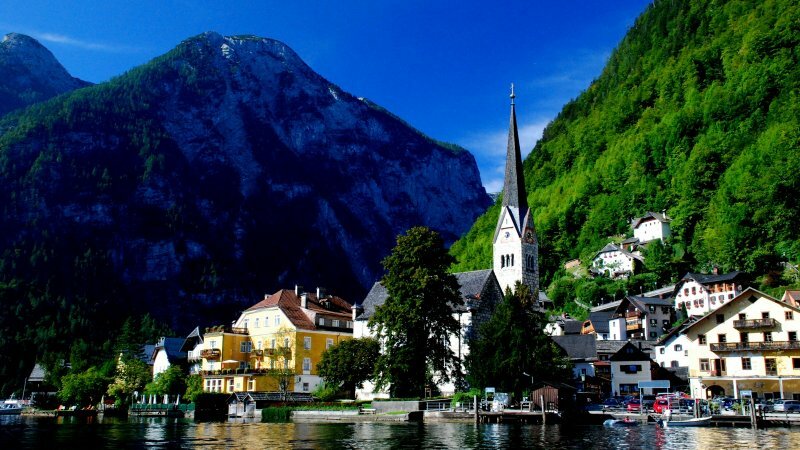 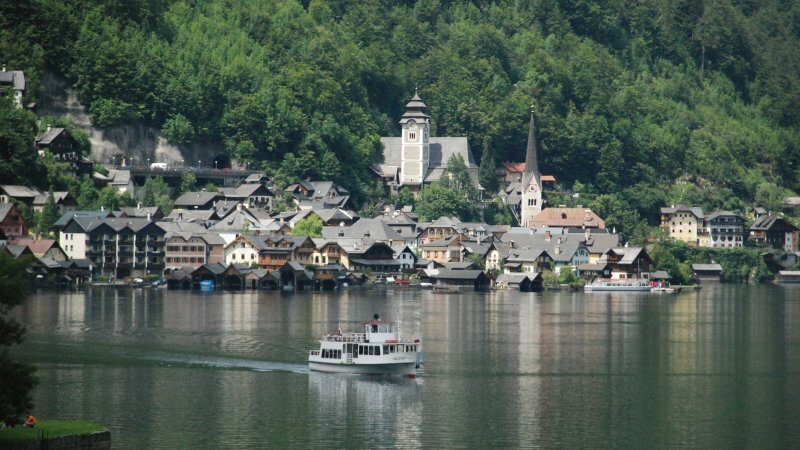 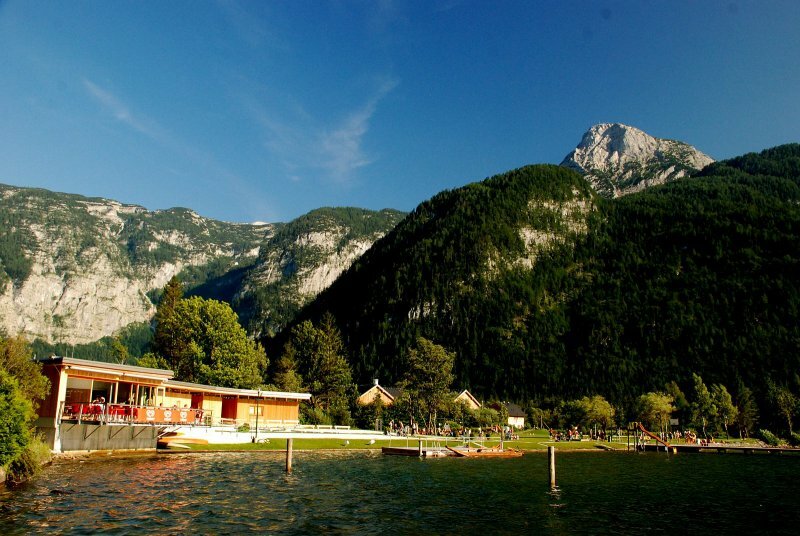 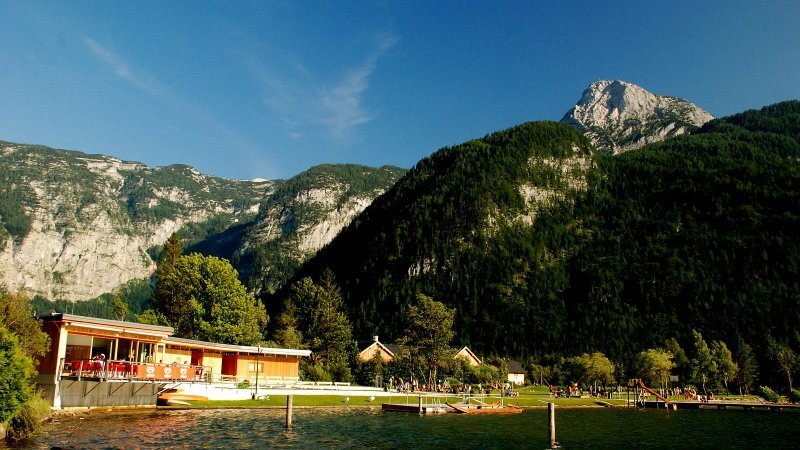 Bad Goisern/Obertraun/Hallstatt | Eastern Shore Hiking and Cycling Trail: The much-loved trail was adapted in 207, and ever since has become increasingly popular with cyclists. 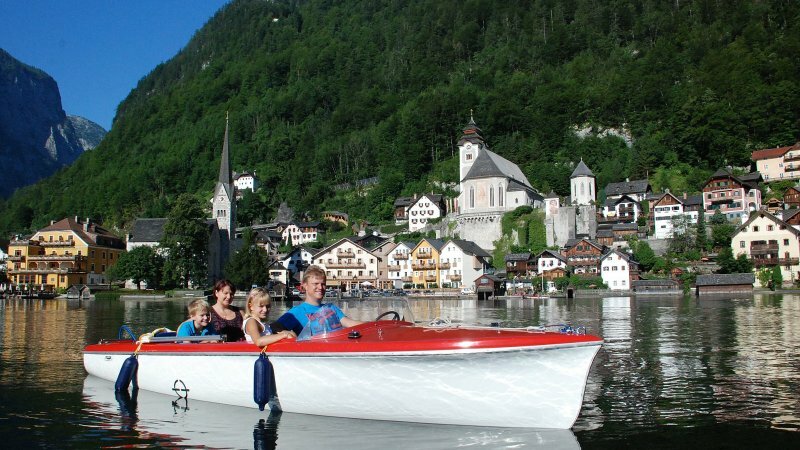 Hallstatt | Boat hire on the lake promenade: Experience the lakes around Hallstatt at their best – during a boat trip with friends or the whole family. 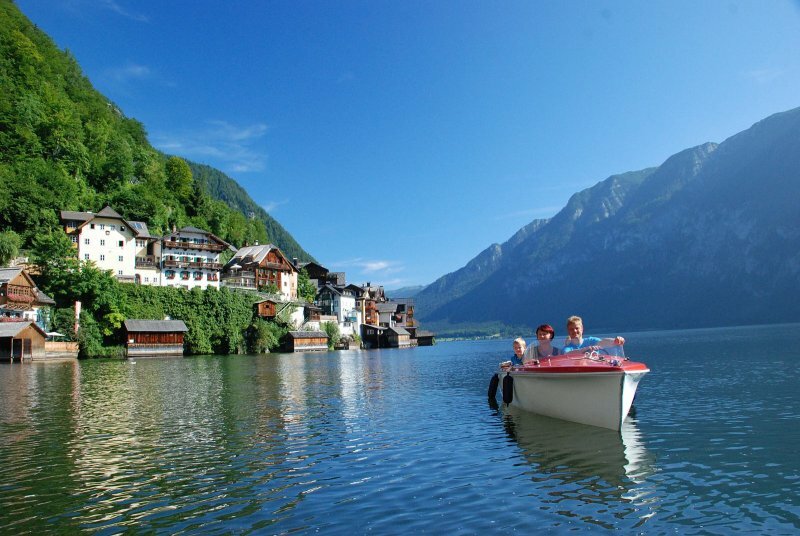 Enjoy Lake Hallstatt. 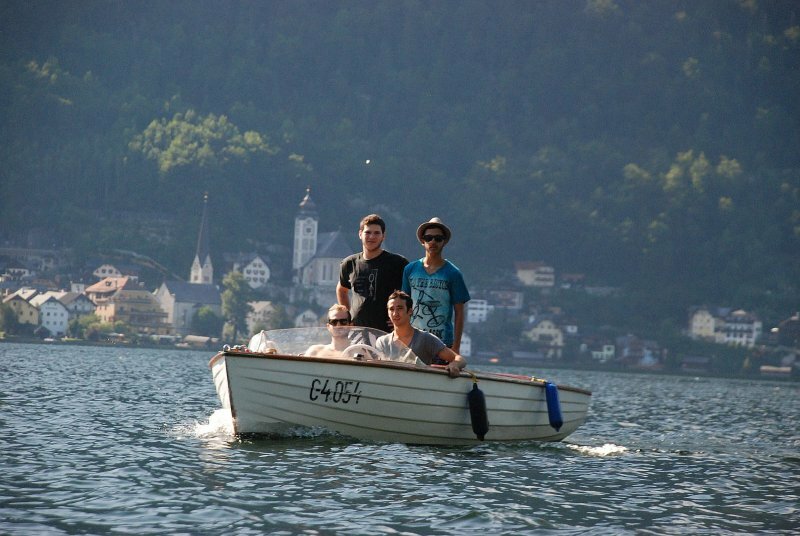 How it was way back when...! 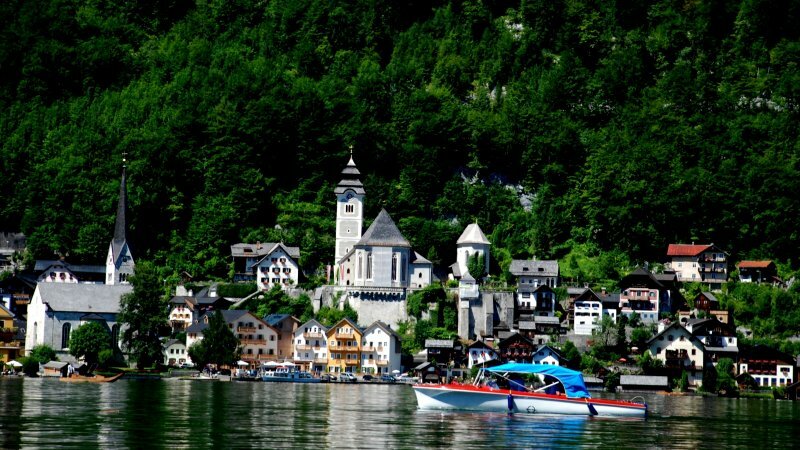 The Lake Hallstatt shipping company, which counts as the fourth oldest in Austria and the second oldest in the Salzkammergut, was important for the beginning of tourism in Hallstatt. 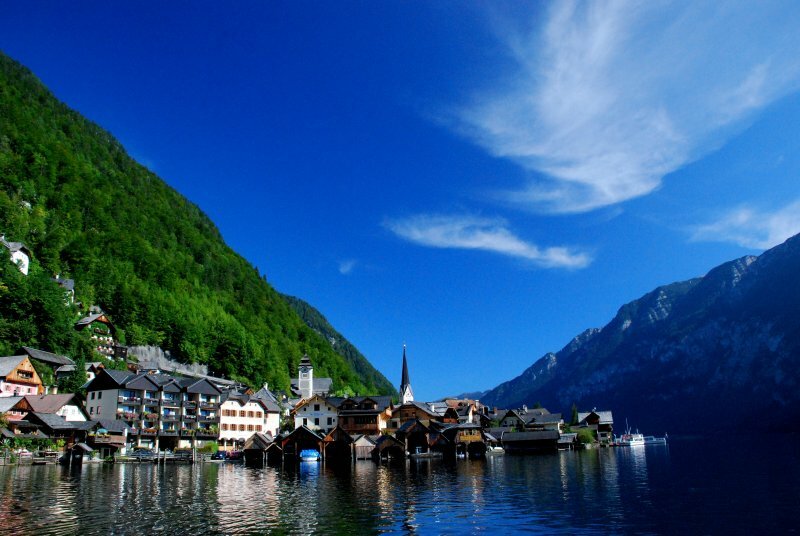 With the construction of the Crown Prince Rudolf railway in 1877 and the opening of the Hallstatt station in 1881, many people came to Hallstatt by train and ferry. 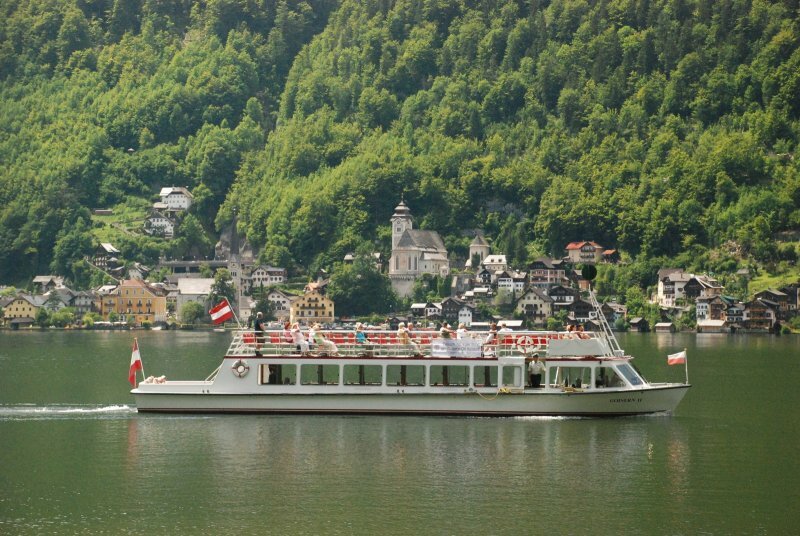 Since its foundation in 1862 until now, fourteen different ships have been used. 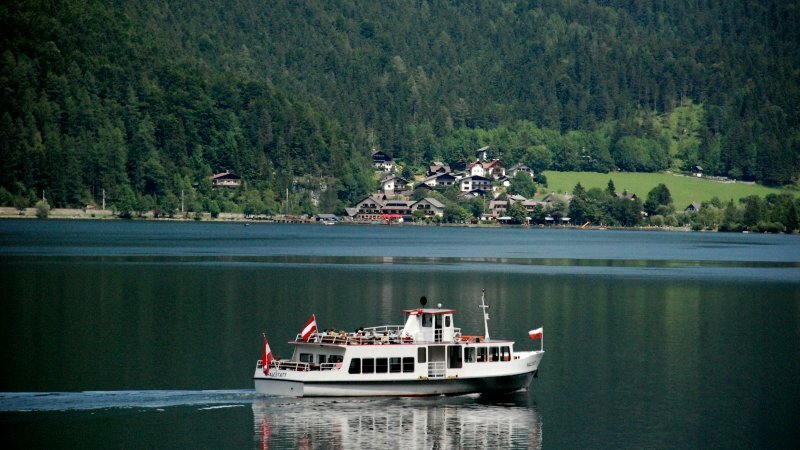 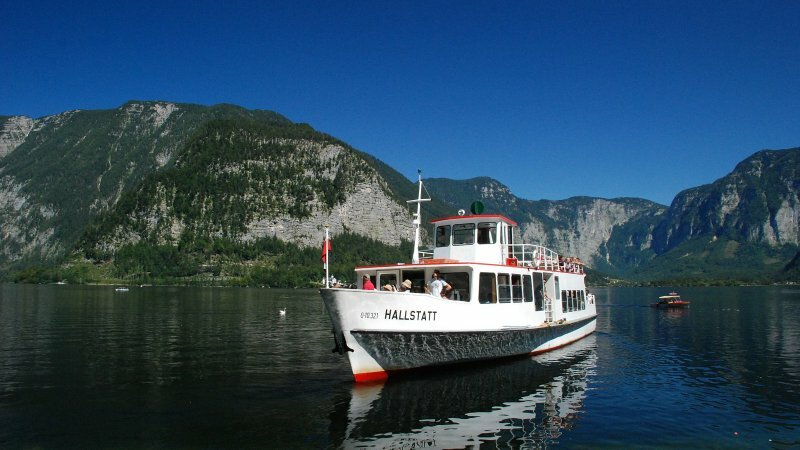 Navigation on the Lake of Hallstatt has been in existence since 1862 and the ferry tours from Hallstatt-Markt to the railway station since 1881. 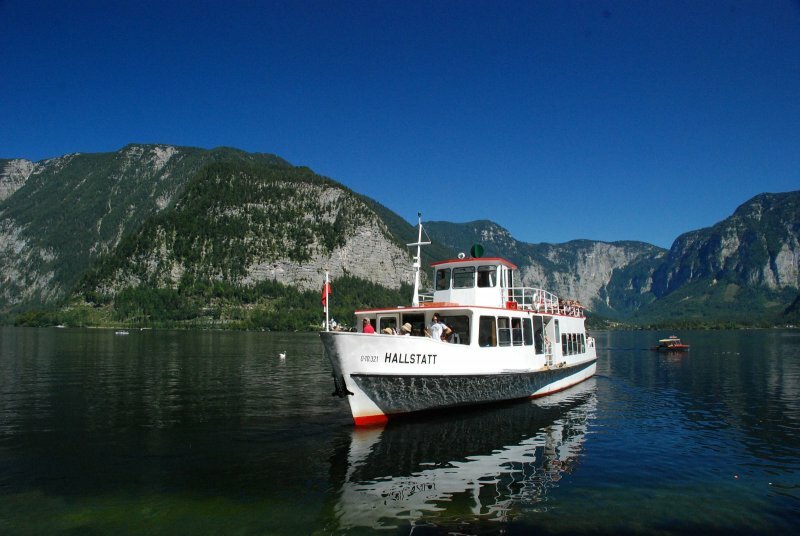 The line from Hallstatt-Markt to the railway station is still the only shipping line which navigates on an Austrian lake also in winter. 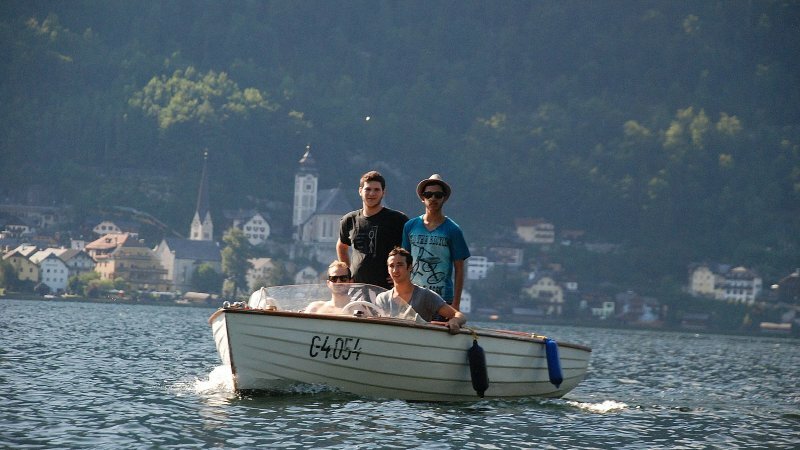 This shipping line, which family Hemetsberger has been owning since autumn 1967, disposes about a fleet of four ships. 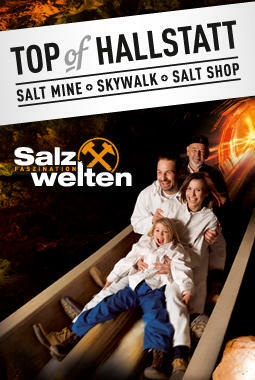 Throughout the year we are employing five employees and in the summer the staff is increased according to demand. 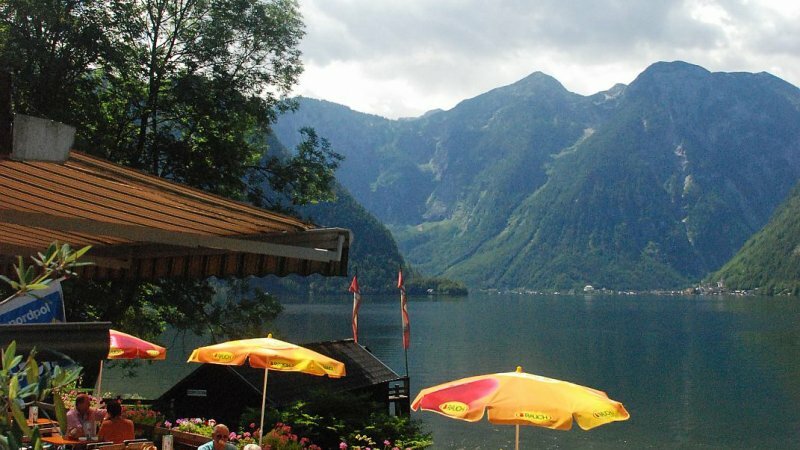 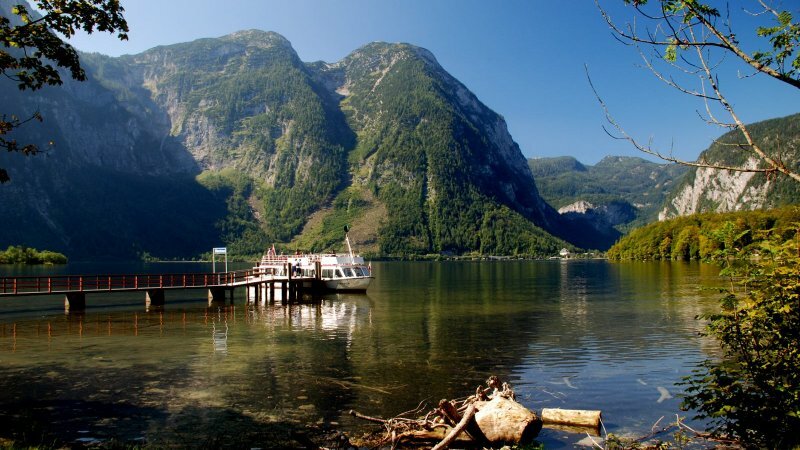 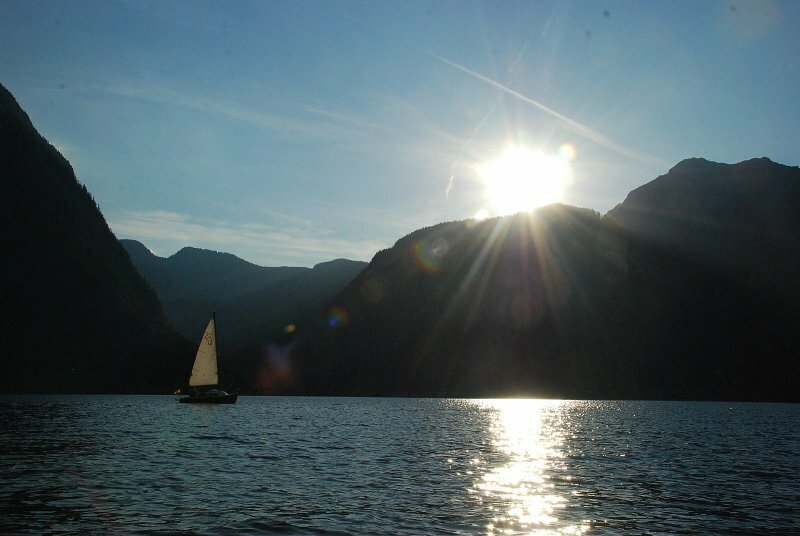 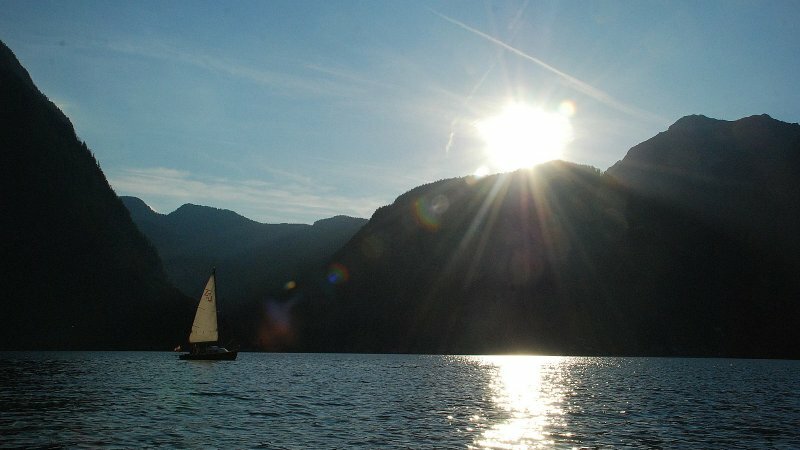 The tour Hallstatt-Obersee-Untersee-Steeg is mainly guided by our female employees and also on all the other lines they are often the captains.. 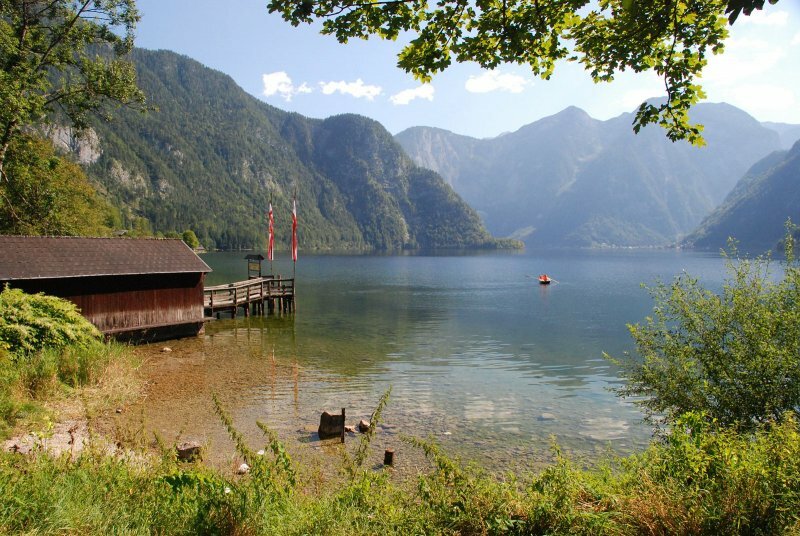 Many are attracted to the lake to go hiking along the shady shores, to dive into the cool water on hot summer days or to go boating on the lake. 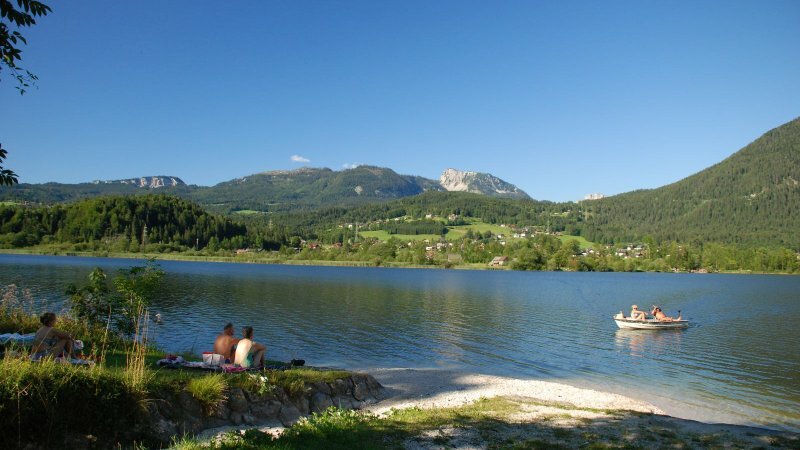 So why not stop off for a swim or for a bite to eat or coffee and cake at one of the many dining establishments. 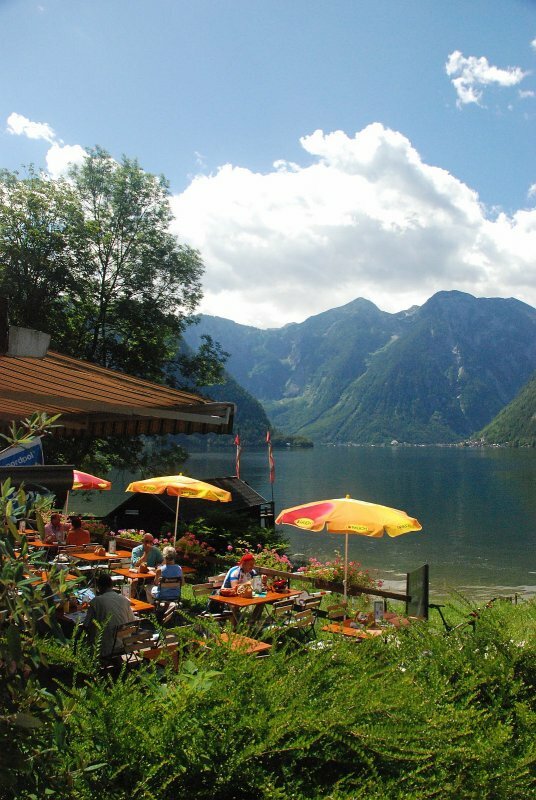 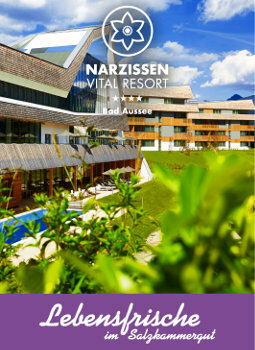 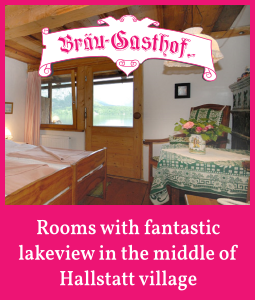 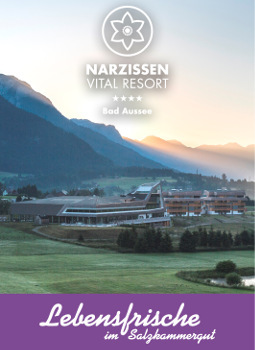 Whether in the large garden at the "Haus am See" in Obertraun, in the cosy pavement café of the guesthouse "Seerauzn" on the east shore in Untersee (Bad Goisern), or under the chestnut trees at Steegwirt in Bad Goisern - here you can unwind and be spoiled by the many Salzkammergut delights. 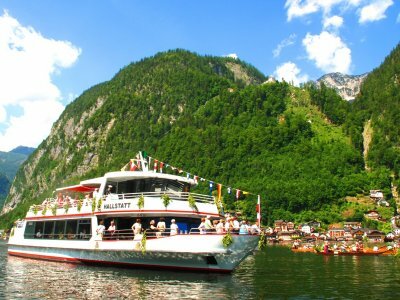 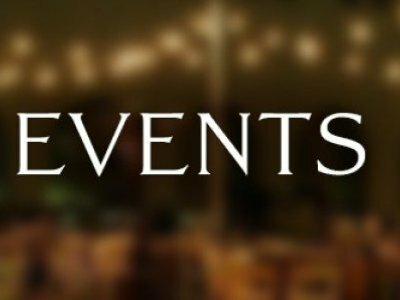 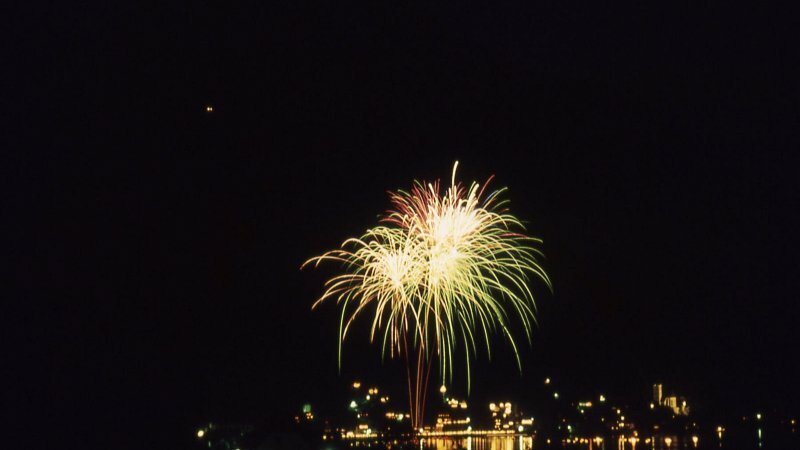 Sport events, traditinell events, romantic boat trips and more. 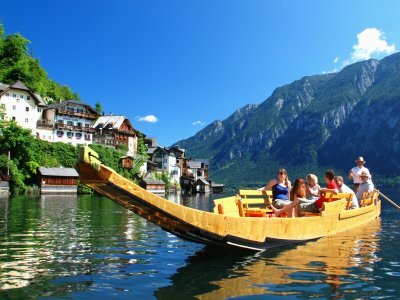 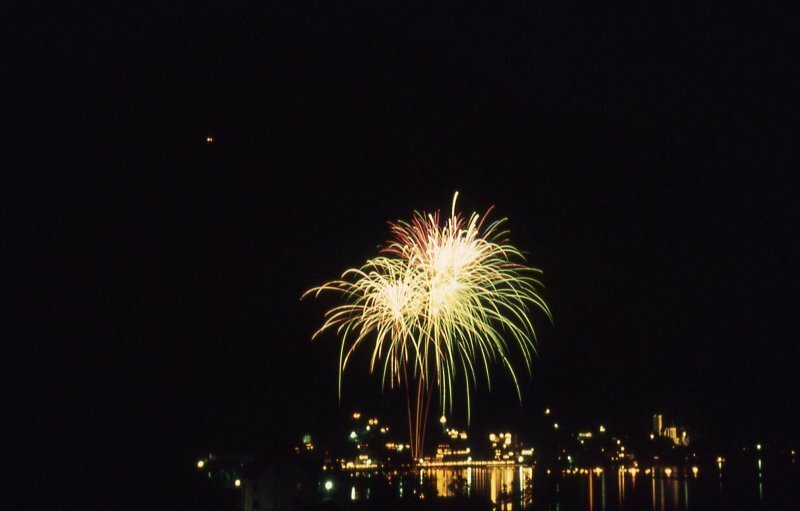 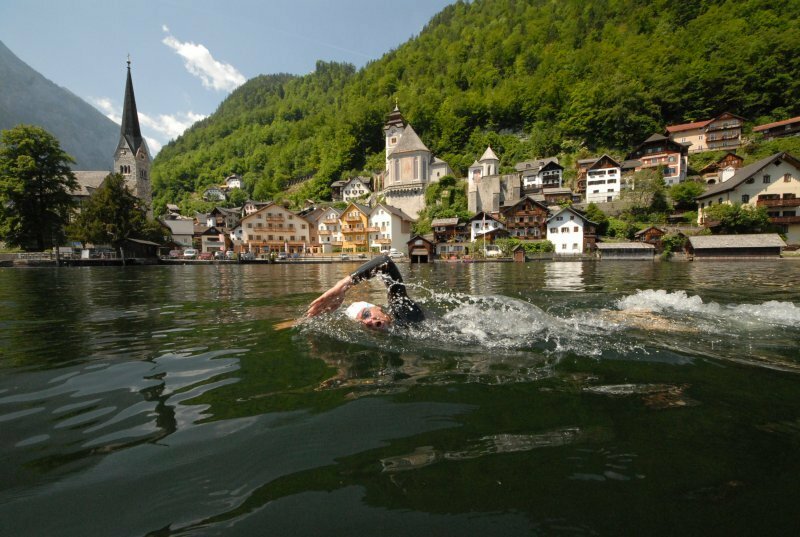 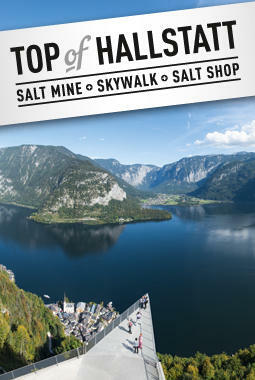 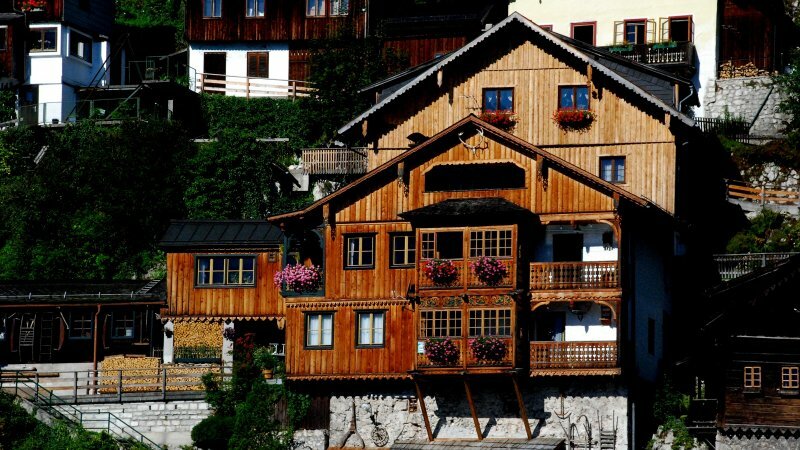 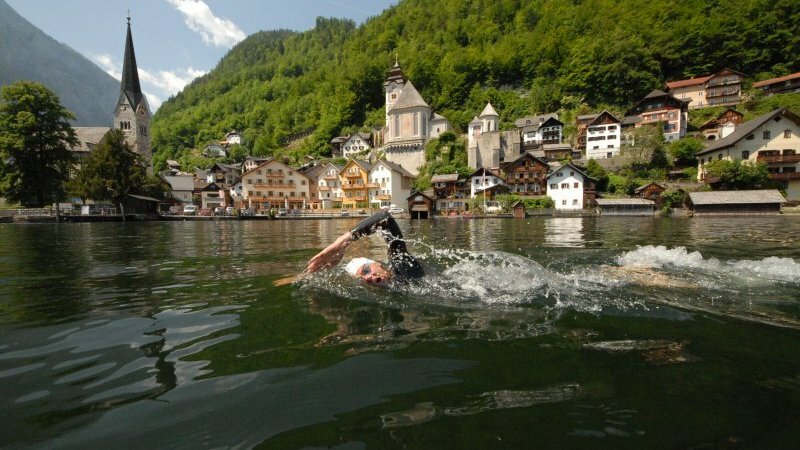 Here you can find the best events around Lake Hallstatt. 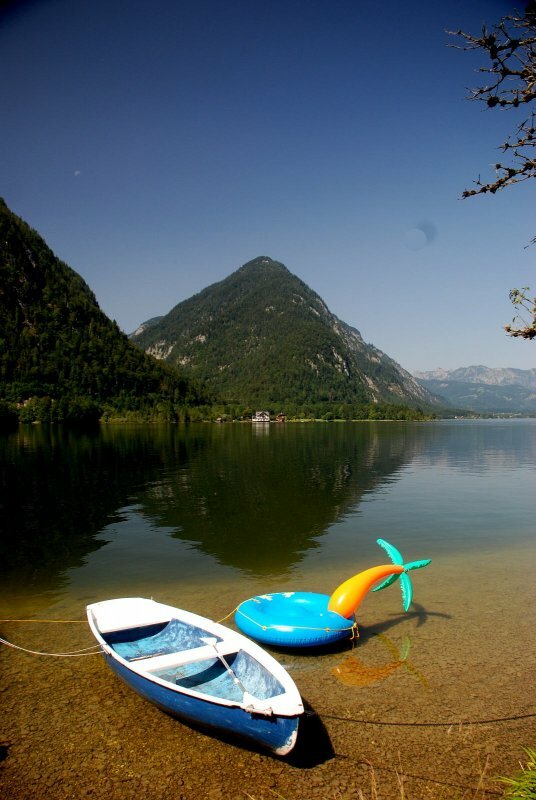 See in your holiday in Austria.